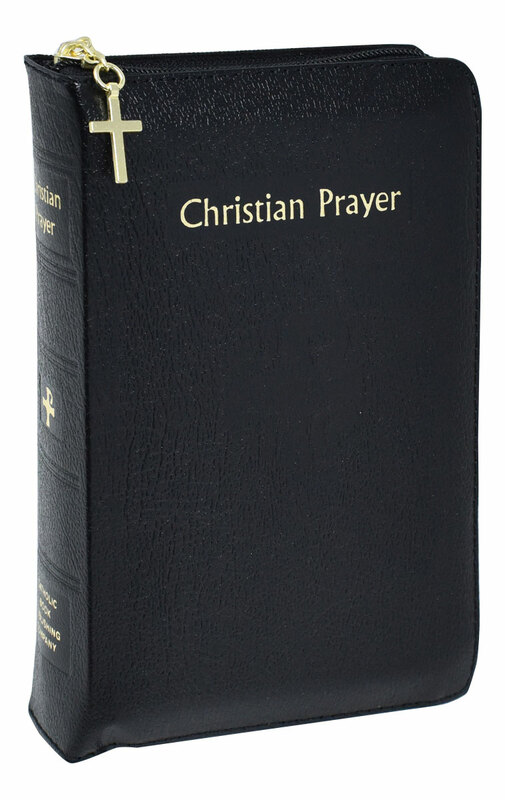 Christian Prayer from Catholic Book Publishing is the official one-volume edition of the internationally acclaimed Liturgy of the Hours. 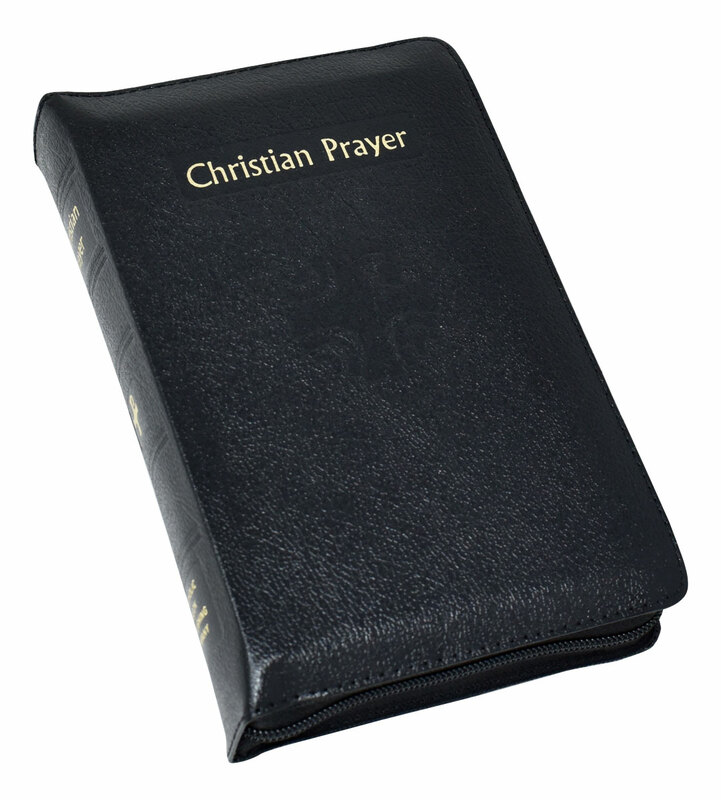 This version of Christian Prayer contains the complete texts of Morning and Evening Prayer for the entire year. Christian Prayer includes the current St. Joseph Guide for Christian Prayer (Product Code: 406/G) and Inserts for Christian Prayer (Product Code 406/I). 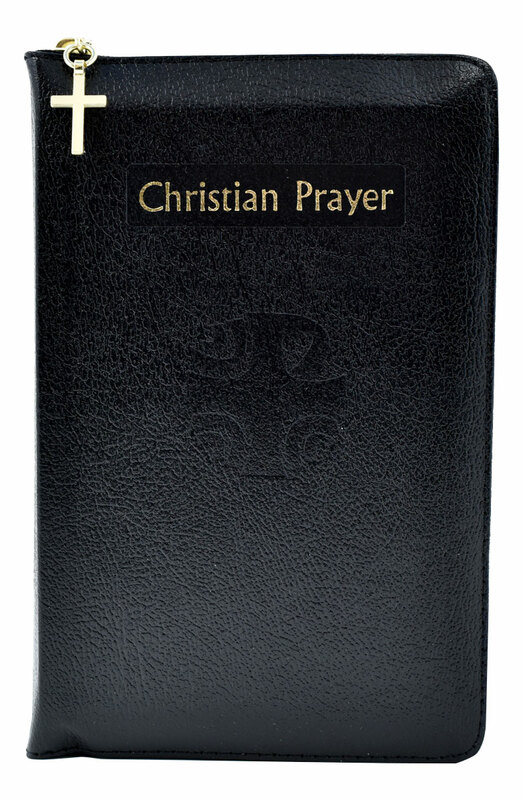 Additional copies of the current St. Joseph Guide for Christian Prayer (Product Code: 406/G) are available for $2.50 each. 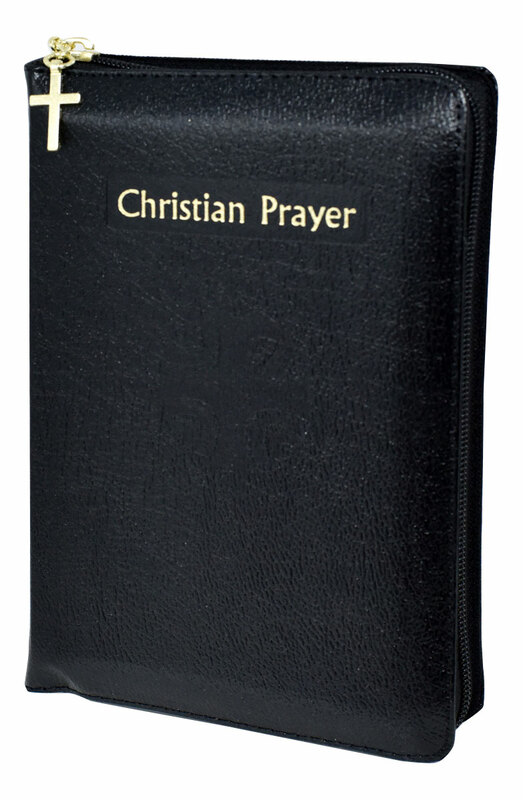 Printed in two colors, this version of Christian Prayer includes handy ribbon markers and gilded page edging, and is bound in black bonded leather with a zipper close to hold your treasured prayer cards. 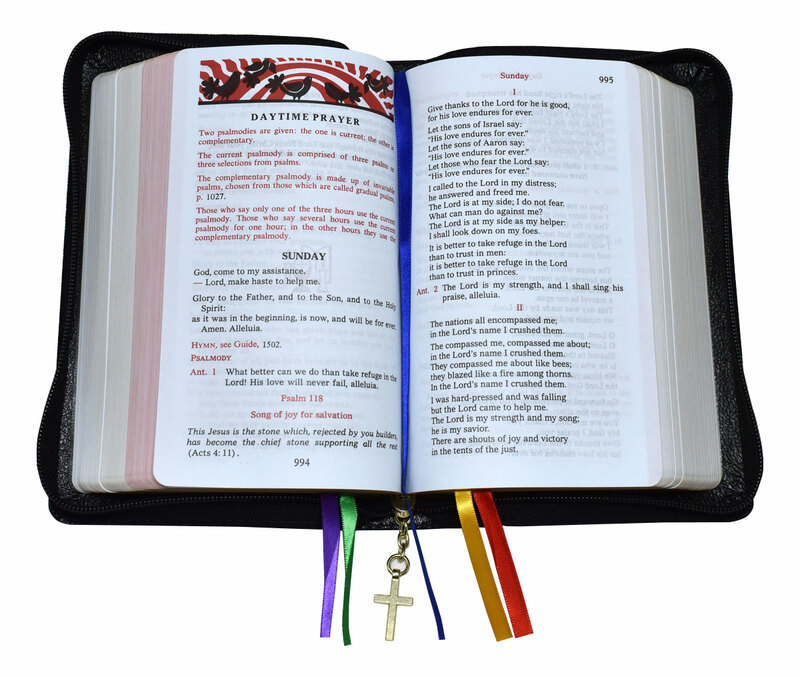 An elegant and practical resource for praying the Liturgy of the Hours.